Are you planning on moving in the near future? If your home or business has a septic system and you are planning to sell your house or business, call A-1 Pumping & Excavating for an affordable and comprehensive septic tank inspection. 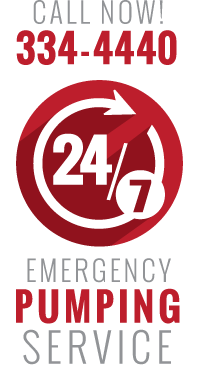 A-1 Pumping & Excavating is a full service septic system company and we offer professional septic tank inspections. We provide camera inspections of your entire septic system and supply a full inspection report for your records. If you plan to purchase a home in Sioux Falls, SD or the surrounding area that has a septic system, be sure to ask the current homeowner to provide a recent septic tank inspection. 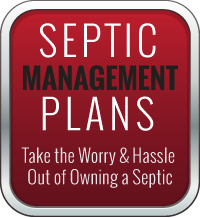 Septic tank inspections are the best way to get an accurate update on the health of a septic system, checking for leaks and potential backups. Inspections help measure the capacity level of the septic scum and sludge. Evaluate septic components inside the home — A-1 Pumping & Excavating checks all appliances and associated pipes for proper connections. We also determine whether all waste lines are properly discharging into approved waste systems. Examine inside the treatment tank — Our inspectors open the tank, examine the inlet and outlet baffles and determine the volume of the treatment tank. The tank is then inspected for cracks, corrosion and leakage. In addition, our inspectors also check the waste levels inside the treatment tank. Inspect the conveyance system — A-1 Pumping & Excavating certified septic inspectors examine the distribution box for leakage, cracks and corrosion. Our inspectors also make sure that the distribution box is level. As part of this inspection all pipes leading to the box are examined using digital camera technology. Any pipes that are cracked or corroded will be identified. Check the absorption field — Our septic inspectors use digital cameras to visually inspect pipes leading to the absorption (leech) field. The inspection also includes a flow test where dye is introduced into the septic system. This test will simulate normal septic usage and enable our septic inspectors to observe drainage. A-1 Pumping & Excavating inspectors visually inspect the surface area to locate signs of system backups and probe underground to check for drainage levels. Comprehensive and easy to read reports — Our inspection provides two documents including a letter stating clearly the overall condition of the septic system and what problems may be present, as well as independent assessments of the system’s three major components. If it has been a number of years since your septic tank has been pumped and you are not sure how full your tank is, call A-1 Pumping & Excavating and have your septic system inspected. Having your septic system inspected, is an effective way to measure the current condition of your septic system. Contact our A-1 Pumping & Excavating Septic Tank Inspections Professional in Sioux Falls and trust us for all of your septic system needs.